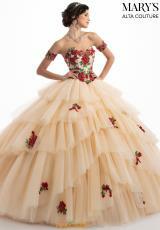 Make a memorable entrance on your special day in this breathtaking ball gown MQ3028 by Mary's. This gorgeous style features a strapless corset style bodice with visible boning and a lace up back. 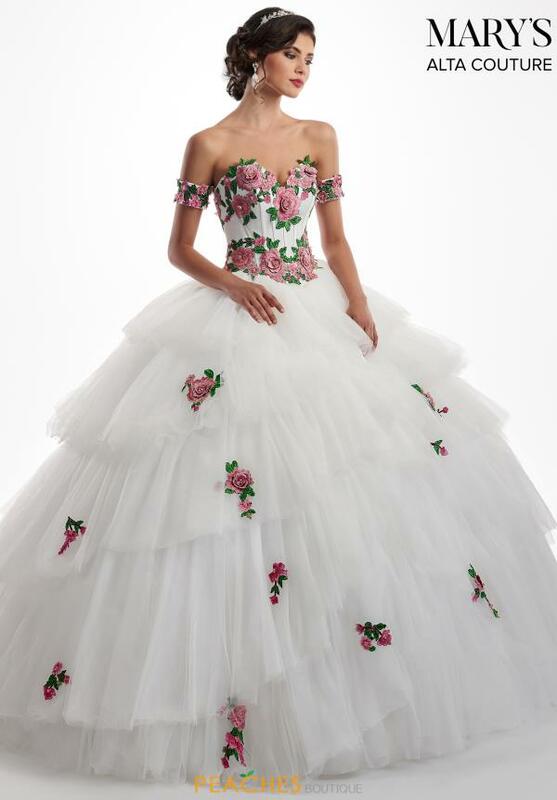 The bodice is covered with vibrant floral applique which matches the detachable arm cuffs. The billowing skirt is made from tiered layers of tulle which give the skirt a light and airy feel. 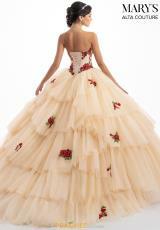 Delicate flowers are spread out over the skirt, and also trim the matching cape that can be worn with the gown.